A rare and exclusive moment in time awaits in the Barossa in April 2019. Just as harvest of the ancient vines at the Hill of Grace vineyard is called, the Henschke family invite up to 60 lucky guests to experience two of their most sought-after and collectible wines in an intimate dining experience. Henschke will be presenting a preview of 2014 Hill of Grace, 2013 Hill of Roses and 2015 Mount Edelstone wines exclusively for Tasting Australia, framed with a suite of museum vintages and matched to a one-off collaboration menu by Italian star, Antonia Klugmann and Adelaide’s own Paul Baker of the Botanic Gardens Restaurant. Enjoy Hill of Grace 2002 and Mount Edelstone 1992/1999/2006 from the museum, as well as Hill of Peace Semillon 2014, only the second white release from the Hill of Grace Vineyard, Cyril Henschke 2013 and other liquid treasures from the family cellar. A special visit to Hill of Grace vineyard will see you be the very first to taste Hill of Grace 2019 in the making, against the backdrop of harvest. This is an experience never to be repeated. 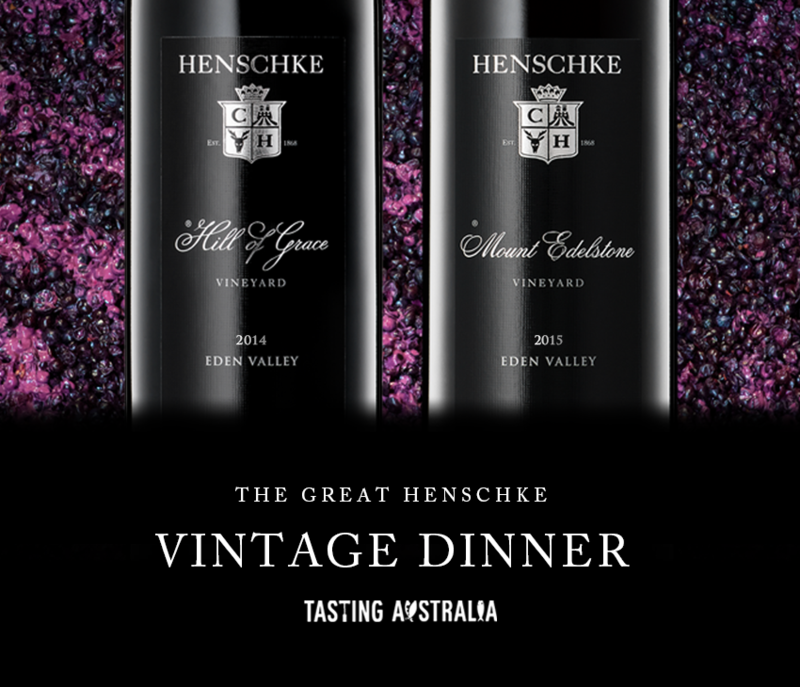 Guests will be the first to have the opportunity to pre-order 2014 Hill of Grace and 2015 Mount Edelstone. In the event of inclement weather, the vineyard visit may be cancelled.